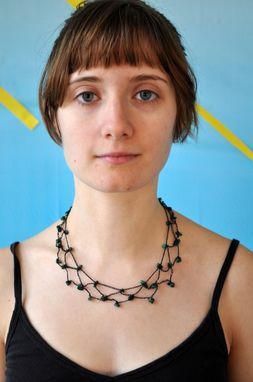 The foundation for this necklace is a mesh stitch, crocheted in black polyester thread. 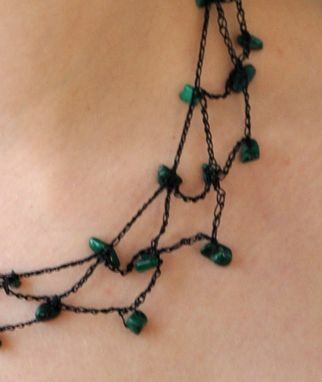 There are green malachite beads at the angles. The polyester thread gives durability while maintaining a light feel. 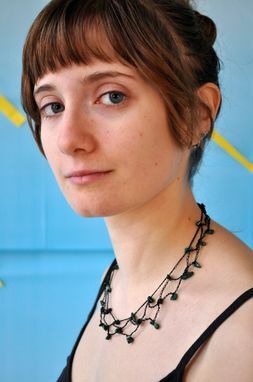 This necklace looks and feels delicate. 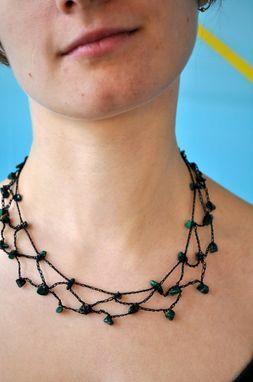 It is clasped in the back with a malachite bead and a series of four loops. 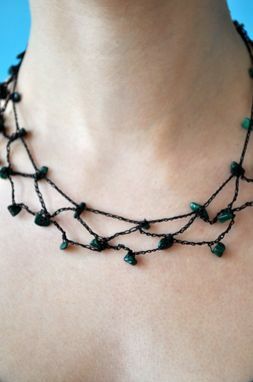 No new materials went into the making of this lovely lace to grace your neck. I rescued the thread, unused on its spool, from a thrift store. The malachite beads came from broken jewelry. Sustainability and style!